After infusing coconut oil in The Mighty Fast Herbal Infuser, set aside above amount to cool. 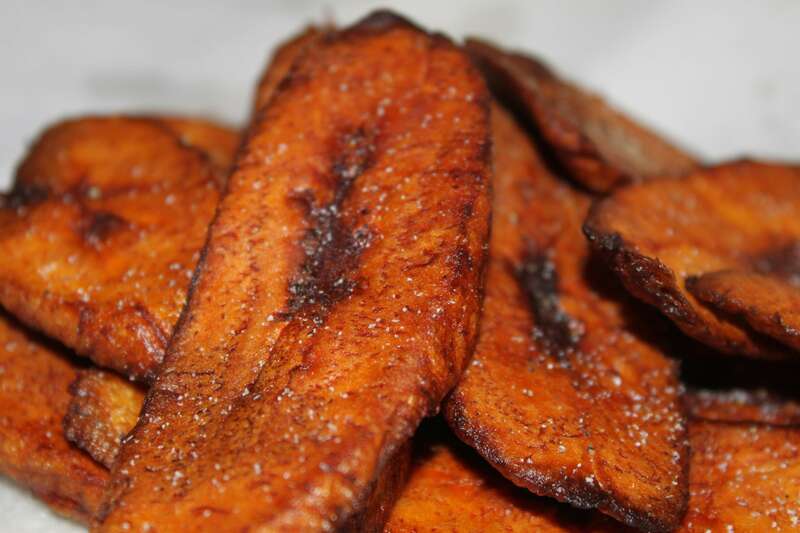 Peel plantains and slice into 1/4 inch round pieces. In a large pan, over low medium heat, warm coconut oil. Add in plantain slices and allow to saute in oil 3-5 minutes or until golden brown. Carefully flip plantain rounds, adding in additional coconut oil. Cook until golden brown. Remove pan from heat. Gently remove plantains onto a plate. Sprinkle with sea salt and cinnamon. Cooking with Cannabis: "High Hummus"